Obviously, the Marx Brothers shopped at Macy's. Did you know that 155 years ago today, October 28th in 1858 Macy's had the first day of business? 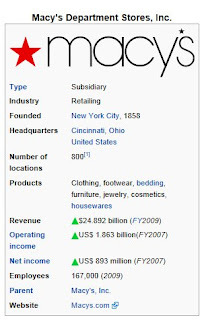 Happy 155th to Macys! One of the most popular department stores around is still described by many as being the “largest store in the world,” (however South Korea has a store twice the size). 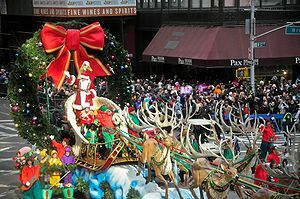 Macys has a history of traditions and culture including being featured in the 1947 movie "Miracle on 34th Street," sponsorship of the annual Macy's Thanksgiving Day Parade in New York City since 1924, and also sponsoring New York City's annual Fourth of July fireworks display since 1976. Founded by Rowland Hussey Macy between 1843 and 1855, four retail dry goods stores were opened, including the original Macy's store in downtown Haverhill, Massachusetts, (established in 1851) to serve the mill industry employees of the area. All four Macy’s stores would fail, but Macy would learn from his mistakes. 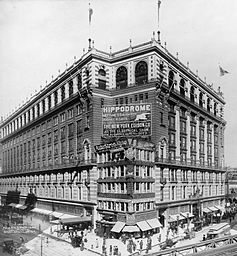 He moved to New York City in 1858 and established a new store named "R.H. Macy Dry Goods" on Sixth Avenue between 13th and 14th Street. He strategically positioned the location to be far north of where the other dry goods stores were at the time. Born in Nantucket Island, Massachusetts, as a teenager, Macy worked on the whaling ship, the Emily Morgan. While working on this ship, at the age of 15, Macy decided to get a red star tattooed on his hand. Little did anyone know that he would carry this star theme with him and incorporate it on all of Macy's emblems and logos. 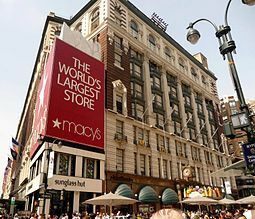 Still touted as the most popular department store in the world, Macy's biggest asset is its brand. Photos courtest of Wikimedia unless otherwise specified.